It’s difficult to determine exactly how much water Balboa Park uses in a given period, said Bill Harris, the spokesperson for San Diego’s Park and Recreation Department. This is for a couple of reasons: first, it its vast size. At 1,172 acres, it is the city’s largest urban park, with over 15,000 trees, 14 specialty gardens and 17 museums and cultural institutions. The second reason, the park’s water infrastructure, poses an even greater challenge to answer the question. 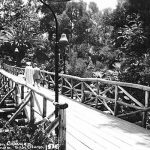 Balboa Park was first constructed almost 150 years ago, and because of this, much of the park’s infrastructure is over a century old. While this is in the process of being updated, the complex, partially uncharted system makes answering questions like “How much water does the park use?” and more importantly, “How is it best used?” difficult to answer. 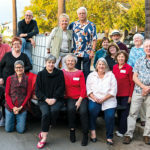 The Friends of Balboa Park, a 501(c)3 volunteer-run nonprofit, has dedicated a significant amount of effort in the last five years to not only improve how Balboa Park irrigates its many gardens, but how to better conserve and reuse that water. 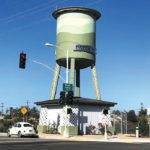 The goal for the organization’s water conservation efforts: Keep the park from turning brown, said Jim Hughes, former president of Friends, who now heads up the initiative. Hughes said he wants a green, healthy park for the highly anticipated 2015 Balboa Park Centennial Celebration, and that the park is going to have to get creative amid the current drought if that’s going to happen. Regarding how high a priority water conservation is to the Friends of Balboa Park, Hughes said that the group will soon pass the $4 million mark in its contributions to the park. In the last five years, the group has spent $500,000, or 12.5% of total donation, on water conservation and water infrastructure efforts. In its water conservation efforts, the nonprofit adopted a practice called “smartscaping,” which looks at several ways to ensure the park is irrigated in an intelligent, efficient way. Hughes said smartscaping looks at three things: The first is the use of plants native to the region, which will better adapt to the region’s weather conditions like our current drought. Second is looking at the soil and the drainage in the park, whether it’s capturing and using water as efficiently as possible. The third is where they get to be creative: using the latest and greatest irrigation technology to bring the park’s water infrastructure into the 21st century. The call for smartscaping traces its roots back to 2009, Hughes said, when the last drought struck Southern California. By mayoral decree, San Diego’s parks were told to significantly reduce the amount of water they were using. Hughes said this was when the push began to dramatically update the park’s outdated water infrastructure. He said this was a big wake-up call for those active in the park. This caused the group to address concerns with Balboa Park’s aged water system. “Immediately, we had low-hanging fruit, and we realized there were immediate things that could be done that would conserve more than 10 percent of the water used in the park by investing in water infrastructure,” Hughes said. The group thought outside of the box to solve the problem as well. 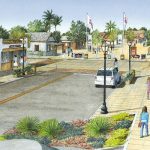 Starting in January, with the help of a $40,000 grant from the San Diego Women’s Foundation (SDWF), the Friends of Balboa Park ramped up their conservation efforts even further, launching the Plaza de Balboa Smartscape Project. The project, which is expected to finish by March 2015, focuses on the irrigation of the Zoro Garden and the Persian Rug Garden, an area of about six acres. Most landscaping changes have been done on Zoro, extending into the connecting Zoro Canyon. There, the Friends have updated the garden’s soil, native plans and irrigation infrastructure. It removed a large cluster of trees in the canyon and replaced them with more drought-friendly plantlife, although this was also partially done to displace a homeless encampment there. Now, Zoro will also be home to a future butterfly garden, and fun fact: The Zoro Gardens used to be a nudist colony as late as 1935. The next phase of the project treads into unknown waters, at least where the park is concerned. The organization will now install a system on the roofs of two adjacent buildings, Casa de Balboa and the Reuben H. Fleet Science Center, to capture their air conditioning water runoff. The amount of irrigation water this could produce from the two buildings, which are each approximately 100,000 square feet, is staggering. Some estimate the system will collect as much as 90,000 gallons per month. Education is this project’s last step, said Hughes. The smartscape system will be viewable around the side of the Fleet Science Center, and the Friends hope to even have a display installed inside the Fleet to show how the collection process helps irrigate the two gardens. It will also be incorporated into Balboa Park’s annual “Science Day,” which in the past has culminated in elementary school students releasing a battalion of butterflies in Zoro Garden. 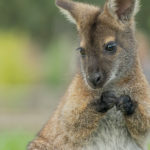 But Hughes has even higher hopes for the project. He hopes this a/c condensation capturing system can be a model used throughout San Diego, as water conservation becomes more and more needed. “Collectively, we’re hoping to produce a model, that we’ll use to duplicate in Balboa Park, but the city is hoping this results this results in some standard to use in city parks and other locations throughout the city,” Hughes said. Balboa Park is old. Placed in reserve in 1835, it’s one of the nation’s oldest parks dedicated to recreational use. It was also one of the first large city parks to be officially designated, second only to New York’s Central Park. The Park’s old age, however, has made regulating the park’s irrigation a challenge to the Park and Recreation Department. For example, there was a water break near the Museum of Man about five years ago. The irrigation was too complex and interwoven for the park to determine which water break correlated with certain areas of the park, so water to the entire park had to be shut off while the problem was fixed. Harris said that although the park was working to update the irrigation infrastructure prior to this, it showed more updating needed to be done. 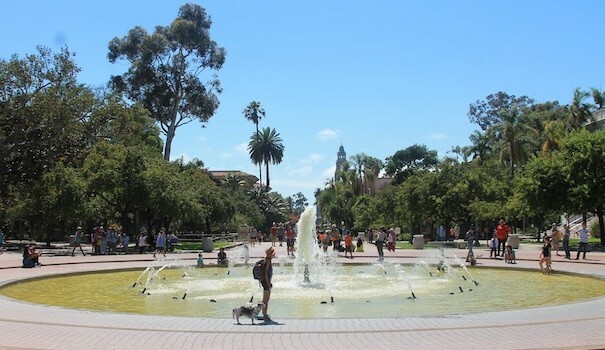 Soon after the accident, Balboa Park partnered with San Diego State, which sent a troupe of engineering students through the park to document and map out all of the park’s water valves, improving park officials’ ability to determine which valves correspond with which park regions. Since then, nearly every water meter in the park has been turned into a “smart meter,” which automatically regulates water to certain areas like fountains based on environmental and water conditions. For example, the large Plaza de Balboa fountain will decrease the height of its water streams in high wind thanks to the meters. Despite improvements made to the park, Harris said the effort to better its water infrastructure and conservation is still ongoing. Earlier this year, city officials voted to move San Diego to drought level one, which encourages all in the city to be more efficient with water usage, but doesn’t mandate reductions. At a July City Council Environmental Committee meeting, the staff from the City’s Public Utilities Department reported its ongoing efforts to reduce water usage. It reported that while the state upped its water conservation measures, it was still hesitant to immediately move past drought level one without waiting to see the effects of that measure. Local water conservationists San Diego Coastkeepers urged the committee take action toward moving to drought level two, which would mandate water conservation efforts throughout the city rather than encourage them. The group cited that despite local and statewide efforts, the southern coastal region is using eight percent more water than this time last year. The council committee asked the Public Utilities staff to return around October to revisit the issue. Moving to drought level two would have considerable impacts on Balboa Park’s water usage. It would halt the operation of all ornamental water fountains, including the Plaza de Balboa fountain, despite it being a closed-circuit system. The increased drought level would also require the City’s parks to cut back on irrigation. It would prohibit irrigation between 10 a.m. – 6 p.m. between June and October, and only for specific, utilitarian reasons, none of which apply to beautification or aesthetic appearances. Ultimately, a worsening drought and the resulting regulations by the City will likely increase the need for ingenuity and modernization by those in Balboa Park. “We need to make strides on measurably saving water in the park, that’s the only thing that’s going to prevent the browning of areas in the park,” Hughes said.